Merchant Loan Advance can generate fast and affordable alternative funding for your business through your PDQ card machine. Unsecured business funding from £5,000 – £200,000 in 48 hours. 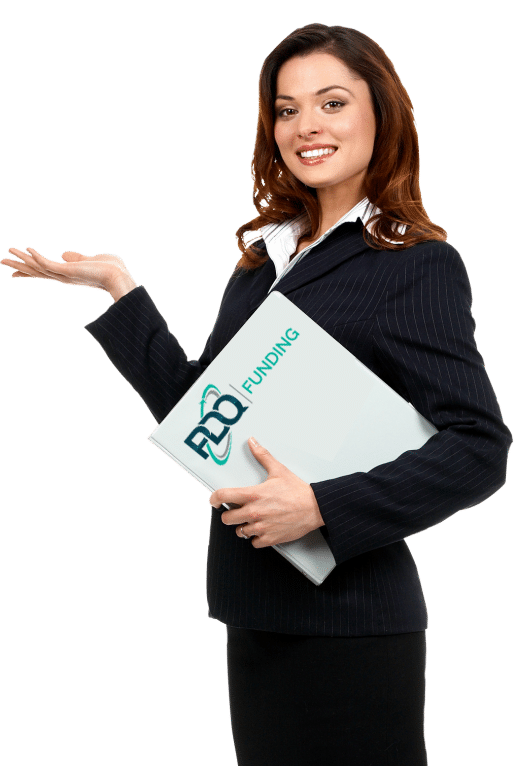 Merchant Loan Advance is an alternative funding solution from PDQ Funding. Unsecured Business Funding from £5,000 to £200,000 in just 48 hours! The amount advanced will depend on your average monthly credit and debit card sales. The loan advance will come with just one fixed cost. A totally flexible funding solution based on your future card sales. If your business is in need of unsecured business funding a Merchant Loan Advance maybe the prefect fit! Suitable for a Merchant Loan Advance? Is your business looking to gain a cash injection from as little as £5,000 up to £200,000 with a flexible repayment schedule? A Merchant Loan Advance may be a funding solution you’ve been searching for. This facility is available to any UK based business that takes card payments and has been trading longer than 6 months. Sole Traders, Partnerships and Limited Companies are welcome to apply for a cash advance. Funding can be used for any business purpose with repayments matched to your future card sales. So this works perfect for seasonal businesses like public houses or restaurants. Merchant Loan Advance can even be used as a revolving credit facility, similar to a traditional overdraft. Once you have paid back some of the original cash advance, typically more than 40%. The business can apply for a “top-up” loan to help grow. There’s no APR, hidden fees or fixed repayments. Instead we’ll agree one simple cost with you upfront and your repayments will be linked to your credit and debit card turnover. What’s more, a business cash advance is unsecured finance. A merchant loan advance uses your PDQ card terminal to acquire the future lending. This is perfect for businesses without many assets. A good volume of card transactions every month is required namely over £5,000. Repayments for the loan advance are then taken as a proportion of your future card revenue. Businesses that uses a PDQ card terminal to take payments from customers will have a merchant terminal provider. With merchant loan advances, the lender works with your PDQ terminal provider. This gives a clear understanding of the amount of funds going though your business at any time. Unlike other types of business lending there are no need for credit checks or cashflow projections. We provide Merchant Loan Advance’s from as little as £5,000 up to £200,000, and we typically advance up to one month’s card sales (so if you take £10,000 per month in card transactions, your maximum would be £10,000). Unlike a small business loan, you won’t need to prepare a business plan or provide security to get business funding as it is unsecured. Your repayments will rise and fall in line with your card turnover, meaning you don’t have to struggle to find a fixed monthly payment. Our alternative business funding solution is totally flexible and designed for real business needs. What Can You Use A Business Loan Advance For? With payments taken at source, as a percentage of card revenue, Business Loan Advances can often be a painless way to free up cash. Businesses can need urgent access to funds for a variety of reasons and cash advances are a flexible tool. UK based business owners often use a Business Loan Advance to expand their current assets base, and to bring new products as well as services into their business. Receiving additional unsecured business funding can provide you with more flexibility to try new products or services in your business. Expanding your product or service range can increase sales, and help exploit what products consumers prefer, while keeping a flexible budget. If your business is experiencing rapid growth, or just needs more staff to run efficiently, an Business Cash Advance is a very effective solution to help hire new employees. Having the safety of knowing you have the business funds in place to hire new employees can improve the efficiency at which your business operates, and will improve the process. Having more hands on deck can help diversify the work load of each employee allowing the company to operate more efficiently. How Do I Get A Loan Advance? Simple Answer to get a Merchant Loan Advance is : be trading for at least 6 months. Monthly card transactions of £5,000 or more though your PDQ Card Payment Machine. Next step is to then simply complete the online enquiry on our website, once we have received it a business funding expert will then call you by return. How Does A Business Cash Advance Work? Does your business need a straightforward, affordable business loan alternative? Our business cash advances are a fast and flexible way to raise between £3,000 and £200,000 in capital, for your business today. Repayments are based on your card sales, which means you only pay us back when you sell to your customers. © Copyright PDQ Funding 2019. All Rights Reserved.